(Photo: © Peter Kenny)World Council of Churches 2018 Interreligious Summer School faculty and students at the Ecumenical Institute in Bossey, Switzerland on Aug. 9, 2018. 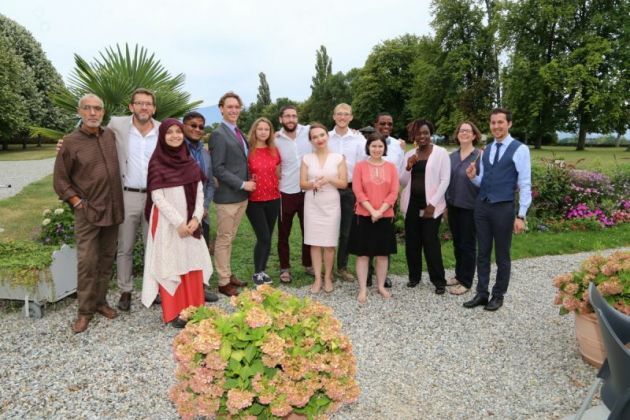 Christian, Jewish and Muslim students who attended the World Council of Churches 2018 Interreligious Summer School at the Ecumenical Institute in Bossey, Switzerland, said that learning to break down prejudices about the other was a lasting impression from the six-week course. The planting of three trees formed part of the graduation ceremony on 9 August to "care for creation" and reflected the United Nations Sustainable Development Goals (SDGs) for 2030 to which the course was related this year. Bossey Ecumenical Institute director Fr. Ioan Sauca presented the 12 students with letters to say they completed the course for the Certificate of Advanced Studies in Interreligious Studies, which is accredited by the University of Geneva. "People are afraid that will dilute identity and there is a hidden agenda to change people's minds," said Sauca, but he added: "The course makes people better - Muslims, Jews, and Christians." "Keep in touch and when you see one group is in trouble, speak up," said Sauca. "The opportunity to live in such close proximity enabled a deepening of relationships that surpassed differing cultural and religious contexts. 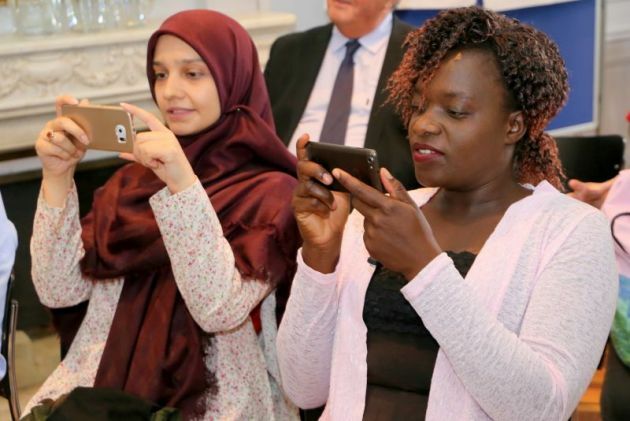 "Whether in the classroom or outside of it, the course cultivated among participants a fundamentally deeper understanding of one another as well as a respect for the various contexts within which they strive to improve through faith driven change," the declaration said. Dr. Benjamin Simon, professor of Ecumenical Missiology said, "Every morning you started the day with 'spiritual sharing'–a moment when we learned a lot about each other spiritually." "These were some of the best three weeks of my life," he said. "The ability to come into contact with people who know about Christian theology, not only in the classroom was fascinating. It was my first time to meet an Iranian and my impression was overwhelmingly positive and I was surprised to see how much we have in common," he said. As the son of a rabbi, Weinbach said it was special to have a "closer scope on global issues and see how dialogue is necessary". "I experienced that the other does not encroach on my own faith, but the meeting can make it stronger." Zahraalsadat Rooholamin, aged 27, a Shia Muslim, is a sociology researcher and postgraduate student from Teheran in Iran. Rooholamin offered special thanks to her professors, Simon and Dr. Simonne Sinn for their dedication and consideration. "It was a perfect experience. I was able to give other people a good introduction to Islam and formed many friendships. It was fantastic for conversation and dialogue." "By learning to counter prejudices to other faiths I was able to relate it to preconceptions I might have held for Pentecostals who follow a different path to us traditional Protestants," said Macheka who thanked the United Methodists in the United States for enabling her to attend.